Was involved with the A's Amigos community program and the Monte Carlo Classic to benefit the 2000 Special Olympics. Ramon was traded to Los Angeles from Colorado after Spring Training and played in 17 games with the Dodgers...signed a minor league contract with Toronto on June 29, after being released by LA, and appeared in five games at Triple-A Buffalo, before being released on July 9...Hit .328 (22-for-67) with four doubles, a homer and a .425 on-base percentage in 22 games for Navegantes del Magallanes in the Venezuelan Winter League in 2013. Signed by Colorado to a two-year MLB free agent contract prior to the 2012 season. Was Colorado's primary catcher for majority of the season's first two months before being landing on DL 5/25 with a lefthand injury...returned following the All-Star break as the Rox second catcher behind Wilin Rosario. Hit .246 (14-for-57) with 4 doubles, 4 home runs and 14 RBI in 16 games in April...batted just .205 (26-for-127) with 6doubles, 1 home run and 14 RBI in his 36 games over the remainder of the season. Hit home runs in back-to-back games twice, on 4/13-14 vs. ARI and 4/25-27 at PIT and vs. NYM...HR on 4/27 vs. NYMwas grand slam...was 6th career grand slam. Hit .236 (21-for-89) with 7 doubles, 3 home runs and 14 RBI in 24 games vs. NL West opponents...was at his best withrunners aboard, as he batted .277 (23-for-83) with runners on, .276 (15-for-58) with runners in scoring position and .300(9-for-30) with runners in scoring position and two outs. Led the club with 85 starts behind the plate but alsomade 2 starts at 1B (7/22 vs Wsh, 9/24 at SD)...from 7/9-7/21 missed9g while on the 15-day disabled list with inflammation in his left knee...hit .281 (3hr, 23rbi) in 57 apps before he went on the DL and .311 (4hr,25rbi) in 40 apps after he came off the DL...from 6/28-8/21 produced anRBI in 15 of his 21 apps (24rbi)...the staff went 45-40 in his starts...Redspitchers posted a 4.80era while he caught...threw out 14-45 baserunnersattempting to steal (31 percent)...through 9/17 led all National Leaguecatchers in fielding percentage but then committed 3 errors in his next5g...caught Johnny Cueto's 1-hit shutout on 5/11 at Pit and 4 of the staff's9 team shutouts...led off the 10th inning of the 6-4 win on 6/21 at Oakwith a home run off Michael Wuertz...following the season became a freeagent but on 11/15 was re-signed to a 1-year contract. From 7/20-9/18 missed 57g while on the disabled list with a left knee injury...on 7/21 hadarthroscopic surgery to clean out that knee...made 4 apps, all starts, after he came off the DL (6-14, .429, 1 RBI)...with Joey Votto on the disabled list (5/30-6/22) started at first base in 18 of the Reds' 21g...overall made 53 starts behind the plate and 26 starts at 1B...entered the season with 7 career apps and 1 career start at 1B (9/9/08 for Bal vs Cle)...also made his only Major League appearance at 3B, in the ninth inning on 5/23 vs Cle after Brandon Phillips was injured and Adam Rosales moved from 3B to 2B...had made 19 minor league apps at that position...the team went 23-30 in his starts behind the plate...Reds pitchers posted a 4.41 ERA while he caught...threw out 11-44 baserunners attempting to steal (25%)...recorded 17 2-hit games and three 3-hit games...won the Ohio Cup Trophy as the Most Outstanding Player of the 6-game series vs the Indians (9-19, .474, 1 2B, 1 3B, 1 HR, 5 RBI)...in the 2-1 win on 4/17 at Hou recorded his 4,000th career at bat in the seventh inning and then in the ninth produced a 2-run HR off Jose Valverde that erased the 1-0 deficit...was his first homer as a Red...on 6/13 at KC snapped a season-high 0-for-20 skid with a solo HR off Joakim Soria...in the ninth inning of the 4-3 win on 7/7 at Phi snapped the 3-3 tie with an RBI-single off Brad Lidge...on 7/12 at NYM scored the 500th run of his career...following the season the club declined his contract option for 2010 but was re-signed to a one-year deal through 2010 with an option for 2011. Was the Orioles' Opening Day catcher and started 119g...also made 1 start at designatedhitter and his first career start at 1B (9/9 vs Cle)...after the All-Star break hit .285 and reached base safely in45 of his 55 apps...produced his best month in July (.297, 5hr)...on 7/28 at Yankee Stadium homered off MikeMussina for his 1,000th career hit...from 8/5-8/22 produced a career-best 15-game hitting streak (.305, 2hr,12rbi)...from 7/19-7/22 homered in 3 consecutive games...on 8/1 at Sea recorded his 200th career double. His second year with the Orioles was interrupted by two stints on the disabled list for separate injuries(left oblique and groin strains)...Appeared in 106 games...Finished 9th in the American League with a .576 slugging percentage and 11th with a .354 average (35-99) with runners in scoring position...Was 19th in the league with a .320 average (16-50) with runners inscoring position and 2 outs...Batted .202 (38-188) with the bases empty, 4th worst in the AL...Collected 24 multi-hit games on the season...Caught 17 of 85 attempted base stealers (20%), including a season-high 2 on May 31 at Los Angeles...The Orioles were 43-54 in games he started behind the plate...Was on the DL from April 8 (retro to March 31) until April 26 with a strained left oblique muscle...Played2 games on rehab assignment with Class A Frederick before being activated...Went 2-for-3 with a walk, double and run scored in his first game of season on April 26 against Boston...Drove in 4 runs 3 times in his first 9 games of the season, all against Cleveland (April 28, May 5 and6)...Collected a season-high and career-high tying 4 hits on May 6 against Cleveland...Hit his 5th career grand slam on May 28 at Kansas City off of Scott Elarton...Was on the DL from June 8-22 with a bruised groin, suffered June 6 at Seattle...Played 2 games onrehab assignment with Short-A Aberdeen before being activated...Drew a game-ending bases loaded walk in a 3-2 win over New York on June 26...Batted .345 (10-29) during a 7-game hitting streak, August 28-September 4...Hit safely in 12 of his last 14 games to end the season, batting .388 (19-49) in that time and raising hisseason average from .238 to .258. In his first season with the Orioles, established career highs in home runs (23), RBI (91), doubles (29) and games played (144)...Had 87 RBI as a catcher and 4 as designated hitter, breaking the club record of 82 RBI by a catcherset by Chris Hoiles in 1993...Tied New York's Jorge Posada for the American League lead among catchers with 23 homeruns...Finished 2nd in RBI and slugging percentage (.497), tied for 2nd in doubles (27) and was 3rd ingames caught (135) among AL backstops...Threw out 35 attempted basestealers, tops in the American League...Tossed out 38.9% (35-90) of runnersattempting to steal, 2nd only to Detroit's Ivan Rodriguez (45.7%) among AL catchers...CaughtBoston's Willie Harris attempting to steal to end the game on May 17...For his career, has thrown out 27.1% (177-653) of runners attempting to steal...Ranked 19th in the American League with a .320 batting average at home but was 3rd to last amongqualifiers with a .229 average in road games...Hit 17 of his 23 home runs at Camden Yards...Hit safely in 9 of his first 11 games of the season, batting .526 (20-38)...Finished April on a 4-for-41 skidbefore rebounding to bat .263 with 6 home runs and 23 RBI in May...Hit 2 home runs and matched a career high with 7 RBI on May 23 at Seattle...Hit his 4th career grandslam in the game and the only one by the Orioles on the season...Batted .283 with 15 home runs and 59 RBI through the end of June...Was one of 5 nominees for thefan's vote for the final AL All-Star spot but did not get selected...Hit .188 in July and went 41 straight games without a home run, June 29-August 23, one short of thelongest homerless stretch of his career...Batted .351 with 7 home runs in September...Had 4 multi-home run games on the season, including 2 against New York, to give him 7 career 2-homer games...Batted .396 (21-53) with 7 home runs and 16 RBI against the Yankees on the season...Had 6 homers against the Yanks in September, the most ever by a player in one calender monthagainst New York...Homered in 3 straight games, June 24-28, giving him a total of 5 home runs and 10 RBI over a 5-gamestretch...Also homered in 3 consecutive games, September 10-12, and back-to-back games on May 1& 2...Collected his 100th career home run on June 12 at Toronto...Had 3 game-winning hits on the year...Hit his first Orioles home run in the bottom of the 9th inning onApril 14 against Los Angeles...Had game-winning singles in the bottom of the 9th inning on June 24 versusWashington and August 26 against Tampa Bay...Had a season-high 8-game hitting streak, May 30-June 6, in which he batted .406 (13-32) with 9RBI...Matched his career best with 4 hits on September 17 at Detroit...Made his first career appearance as designated hitter on May 25 at Seattle...Appeared as designatedhitter 6 times on the year, each coming during Rodrigo Lopez's starts...Made two appearances at first base, his first games at the position since playing a pair of games therein 2001...Was hit by pitches 11 times, 3rd on the team and tied for 11th in the American League...Was the Orioles' recipient of the MLB Players Alumni Association's Heart and Hustle Award, embodyingthe values, spirit and traditions of the game...Prior to the season, batted .273 (6-22) with a double and home run for Venezuela in the World Baseball Classic. Hernandez was arguably the team's most valuable player when he injured his left wrist diving back into first base at Minnesota on June 17, eventually submitting to surgery on July 29. Always a respected receiver, he was a potent offensive weapon down the stretch, batting .349 with five homers and 20 RBI in 83 at-bats in the last month to help power the Padres to the NL West title. He's a coveted free agent. Appeared in 111 games for the Padres, batting a career-high .276 with 18 home runs, 13 doubles and 63 RBI... his home run and RBI totals were the second highest in his career... hit three home runs in a five-game span August 20-24... had a seven-game hitting streak, his longest of the season, August 10-20, batting .387 (12-for-31)... from August 10-September 2, hit safely in 16 of 18 games, batting .329 (24-for-73) with five home runs and 17 RBI... while he worked behind the plate, Padres pitchers had a 4.03 ERA (414 ER/925.1 IP)... his .992 fielding percentage (788-of-794) ranked eighth among NL leaders... hit his second career pinch-hit homer in the second game of a doubleheader May 19 at Pittsburgh. ON THE SHELF: Was sidelined due to a strained left knee suffered in a collision at home plate with Toronto's Howie Clark on June 20... the injury prevented him from catching at least 136 games for the first time in his Major League career... placed on the 15-day disabled list on June 21 and reinstated on July 26, missing a total of 30 games... Padres went 20-10 in that 30 game span. THE ROAD TO RECOVERY: Played in seven games with Triple-A Portland during a rehabiliation assignment... batted .316 with one double and six RBI for the Beavers. FIREPOWER: Hit a career-high .276 (106-for-384) with 18 homers and 63 RBI... his 18 home runs represented the third most by a catcher in a single season in franchise history, trailing only Terry Kennedy (21 in 1982) and Gene Tenace (20 in 1979) and tied with Benito Santiago (18 in 1987). BACK WITH A VENGEANCE: After returning from the disabled list on July 26, went on to hit 11 of his 18 home runs and drive in 38 of his 63 RBI... his 11 homers in that span tied him with Baltimore's Javy Lopez and Kansas City's John Buck for most home runs by a catcher while his RBI total was the second highest trailng only Lopez (40)... his 11 homers also tied Phil Nevin for the Padres lead from July 26 through the end of the season. Was named to his first American League All-Star team and had the best season of his career...posted career highs in at bats (483), runs (70), hits (132), triples (1), home runs (21), RBI (78), hit by pitches (12) and slugging percentage (.458)...his .273 batting average marked the first time he has hit higher than .254 since hitting .279 in 40 games during his rookie season of 1999...became the fifth catcher in the history of the Athletics franchise to hit 20 home runs in a season, joining Mickey Cochrane, Frankie Hayes, Terry Steinbach and Gene Tenace...his 21 home runs were the fourth best single season total in A's history and ranked fourth most among all Major League catchers this year...his 78 RBI were sixth most among M.L. catchers...led the A's in hit by pitches, was third in RBI and tied for third in home runs...continued to be one of the most durable catchers in the game as his 139 games caught led American League catchers, ranked third in the majors and was the third best single season total in Oakland history to his 142 in 2000 and Ray Fosse's 141 in 1973...has now caught 551 games over the last four years which is second most in baseball to Pittsburgh's Jason Kendall (569)...has 591 games caught in his career...in Oakland history, only Terry Steinbach (1050) has caught more games...A's pitchers had a 3.48 ERA with him behind the plate which was the lowest catchers ERA in the A.L., 15 points below the A's overall ERA...it was the lowest catchers ERA in the A.L. since Joe Girardi had a 3.44 ERA for New York in 1997...tossed out just 23 of 96 (24.0&) attempted base stealers and his 73 stolen bases allowed were the most in the AL...his .273 batting average broke down to .302 (101 for 334) against right handed pitchers and .208 (31 for 149) against left handed pitchers...tied for the fifth lowest batting average against left handers in the AL...saw most of his playing time batting sixth in the order where he made a team leading 72 starts...never batted higher than fifth...was 0 for 5 as a pinch hitter and is 3 for 24 (.125) in the pinch in his career...batted .390 (30 for 77) with nine home runs on the first pitch and tied for second in the A.L. in first pitch home runs...the A's were 15-5 in games in which he homered and are 43-14 (.754) in his career when he homers...hit .354 during spring training and he reversed a career trend by having that carry over into the regular season...hit .364 (28 for 77) in 23 games in April, the best one month batting average of his career (.333 in July, 2001)...had a .204 career average in April entering the season...tossed out three attempted base stealers on April 12 at Anaheim, the second time he has done that in his career (August 21, 2001 vs. Cleveland)...matched his career high with a nine-game hitting streak from April 9 to 19 (14 for 30, .467)...had four three-hit games in April after collecting just two three-hit games all year in 2002...finished the year with 10 games of three or more hits which tied for the team lead...was tied for sixth in the A.L. in batting at the end of April but then hit .218 (57 for 261) over a 75-game stretch from May 1 to August 8 which dropped his average down to .251...then had his third career two-homer game and added a career high five RBI on August 9 at Chicago to start a season ending stretch where he hit .324 (47 for 145) with seven home runs and 26 RBI over his final 42 games...had back-to-back three hit games for the second time in his career on June 19 against Texas and June 21 against San Francisco (July 12-13, 2001 vs. Los Angeles)...hit his first career triple in his 523rd game and 1652nd at bat on June 29 at San Francisco...became the first A's catcher to play in an All-Star Game since Terry Steinbach in 1993 and went 0 for 1 on July 15 at Chicago...hit his second career grand slam on August 24 at Toronto, one of two Oakland slams in the game which was a franchise first...was 4 for 13 (.308) with the bases loaded and is now 13 for 41 (.317) with 43 RBI in his career with the bases full...had 18 RBI in August which was his most ever in a month...batted .338 (26 for 77) in September and now has a .272 (89 for 327) career average in September, his best average for any month of the season...matched his career high with a four-hit game on September 15 at Anaheim, the third of his career...two have come against the Angels...started 16 consecutive games at catcher from September 7 to 23, the longest consecutive games started streak by an A's catcher since Mike Heath started 17 consecutive games from August 4-21, 1985...opponents were successful in 19 of their last 21 stolen base attempts off him...batted .368 (21 for 57) against the Rangers with three home runs and 13 RBI in 16 games and now has a .314 (64 for 204) career average against Texas, his best average against any A.L. team. Continued to be one of the most durable catchers in baseball as he caught 135 games, fourth most in the majors...has now caught 412 games over the last three seasons which is second most in baseball behind Jason Kendall (423)...the 135 games caught tied for the fourth most in one season in Oakland history and he now has three of the five best single season games played total by an Oakland catcher...has caught 452 games in an A's uniform which trails only Terry Steinbach (1050) and Mike Heath (537) in Oakland history...however, his offensive numbers began to tail off as he hit a career low .233...hit just seven home runs after hitting 14 and 15 in the previous two seasons and had 42 RBI after driving in 62 and 60 in the previous two years...had 43 walks however which was a career high...batted .197 (29 for 147) over his first 47 games, .288 (40 for 139) over his next 48 games and .214 (25 for 117) over his final 41 games...was 4 for 8 (.500) with eight RBI with the bases loaded and is now a .321 (9 for 28) career hitter with the bases loaded with 27 RBI...hit best when batting in the nine spot in the order (64 for 248, .258)...batted .194 (30 for 155) in all other spots...committed just seven errors, the lowest total of his three full seasons with the A's...however, the errors tied for third most in the American League among catchers...ranked second among A.L. catchers with 12 double plays, a figure that is second in Oakland history by catchers to his 15 from 2001...tossed out 21 of 66 (31.8%) attempted base stealers, the sixth best percentage in the AL...threw out just 5 of 21 (23.8%) over his first 42 games but then threw out 7 of the next 14 (50.0%) over his next 14 games...continued his trend as a slow starter as he batted just .188 in April...now has a .204 career average in April, his lowest for any month of the season...hit two home runs in the month and both came on April 26 against Chicago, the second two-homer game of his career...then went 63 consecutive at bats without an extra base hit before homering on May 24 against Tampa Bay...finished May with a .203 average...his batting average began to pick up during interleague play as he had four straight two hit games from June 7 to June 10 (8 for 13) against Houston and Milwaukee...hit .273 in June and, after batting .255 in July, hit .273 in August...had a season best eight-game hitting streak from August 2 to 11 (10 for 25, .400) which was one short of his career high...the hitting streak pushed his average to a season high .241...his first five home runs were solo shots before hitting a three-run shot on August 6 at Boston...the home run came in a 9-1 win and the A's were 4-2 in games in which he homered this year...are 16-4 when he homers over the last two years...the home run also came at night and all seven of his home runs came under the lights...started 13 consecutive games at catcher from August 13 to 26, the most consecutive games started by an A's catcher since Terry Steinbach started 13 straight from April 20 to May 5, 1993...streak ended when Greg Myers started on August 27 but Hernandez then started each of the next 12 games...ended up starting 38 of the A's last 43 games at catcher...hit .209 in September...final home run of the season came on September 24 at Seattle...now has eight home runs and 35 RBI in his career against Seattle, both his best figures against any team...posted his best batting averages in 2002 against Kansas City (.412) and New York (.391)...started all five games at catcher in the ALDS against Minnesota and was 1 for 17...the hit in Game 3 snapped a 0 for 22 streak in the post-season...has started 14 of the A's 15 post-season games over the last three years at catcher. 1994-spent his first season in the A's organization with the club's affiliate in the Dominican Summer League...helped lead the A's to the Central Division title...batted .246 with a pair of homers and 18 RBI in 42 games. 1995-spent his first season in the United States playing for the A's affiliate in the Arizona Rookie League...was named Arizona League Most Valuable Player after leading the league in batting (.364), walks (39), on-base percentage (.510) and slugging percentage (.594)...also tied for the league lead in RBI (37), tied for second in triples (6), tied for third in home runs (4) and extra-base hits (19) and was fifth in total bases (85)...appeared in 31 games behind the plate, 13 at first base and six at third base...led league catchers with a .982 fielding percentage while throwing out 24 of 53 (45.3%) attempted base stealers. 1996-spent the season at West Michigan as the regular catcher and was named to the Midwest League All-Star team...led the Whitecaps with 12 HR and 26 doubles and was second with 68 RBI...hit .200 in June which dropped his average to the .238 mark but finished the season strong, hitting .293 in August with 5 HR and 19 RBI...then had a pair of home runs and five RBI in nine playoff games for the Midwest League Champion Whitecaps. 1997-spent most of the season at Single-A Visalia of the California League and led the league in hitting (.361)...was named to the Cal League Post-Season All-Star team as he also topped the circuit in on-base percentage (.427) and ranked third in slugging (.572)...appeared in just 86 games before he was promoted to Double-A Huntsville but he still finished second on the Oaks in home runs (15) and RBI (85)...started fast as he had a 15-game hitting streak in April, earning Player of the Week honors the week of April 14...had a 12-game hitting streak from May 24-June 6 which got his average as high as .396...led all of minor league baseball with a .376 batting average and 73 RBI (tied) at the All-Star Break...hit .312 in June with 2 HR and 19 RBI earning California League Player of the Month honors...was promoted to Huntsville on July 14 but never got on track offensively during the regular season...finished the Huntsville portion of his campaign with a .193 batting average...then had a spectacular post-season for the Stars as he batted .351 with 7 HR, 16 RBI and 10 runs scored in 10 games...combined at both levels to hit .306 with 19 HR, 109 RBI and a .380 on-base percentage during the regular season. 1998-his first full season at the Double-A level and he led Huntsville with 98 RBI which was fifth most in the Southern League...added 15 home runs and also led the Stars in hits (142) and hit by pitch (19)...saw most of his action as the designated hitter, appearing in 55 games at DH, 51 games at catcher and 22 games at first base...never caught more than two consecutive games...got off to a quick start as he batted .410 in April...scored a run in 13 consecutive games, June 4-18...finished June with a .345 average and 24 RBI in 22 games and then batted .327 (18 for 55) during a 14-game hitting streak in July...was 3 for 11 (.273) with a RBI in three post-season games for Huntsville...batted .314 with 6 HR and 27 RBI in 55 games for Occidente in Venezuela during the winter. 1999-selected from Vancouver towards the end of June when Mike Macfarlane went on the disabled list and hit .279 in 40 games with Oakland...was batting .263 with 12 HR and 53 RBI in 70 games at Vancouver when the A's called on June 27...made his major league debut on June 29 against Seattle and recorded his first hit in his first at bat, a bunt single off John Halama in the third inning...also singled in the seventh and then had three hits and a career high four RBI the next day...including his first major league home run, a two-run shot off the Mariners Damaso Marte...had started 19 of the A's 23 games at catcher following his promotion before suffering a sprained left knee in a collision at home plate with Kansas City's Steve Scarsone on July 25...went on the disabled list the next day and returned to Oakland on August 27...had a career high four hits on September 28 at Anaheim...fared better against left handed pitching as he hit .357 against south paws with all three of his home runs compared to .245 against right handers...also enjoyed hitting at home as he batted .329 in Oakland compared to .227 on the road...hit .389 with runners in scoring position and .375 (18 for 48) with two of his three home runs in the seventh inning or later...tossed out 9 of 41 (22.0%) attempted base stealers...finished with a .261 batting average in 77 games at Vancouver to go with 13 HR and 55 RBI...appeared in 44 games at catcher, 21 at designated hitter, 11 at third base and four at first base...tossed out 16 of 42 (38.1%) attempted base stealers...hit .261 with 5 HR and 28 RBI in 52 games with Occidente in the Venezuelan Winter League. 2000-set an Oakland record for most games caught in a season as he appeared in 142 games behind the plate, breaking Ray Fosse's record of 141 set in 1973...started 118 of those games...his 142 games caught ranks fourth most in Athletics history behind Frankie Hayes (155 in 1944), Cy Perkins (146 in 1920) and Hayes (143 in 1936)...struggled defensively as he tossed out just 19 of 87 (21.8%) attempted base stealers, the fourth lowest percentage among American League catchers...committed 13 errors, the most by an A's catcher since Terry Steinbach also had 13 in 1991, and the most by an American League catcher in 2000...his .984 fielding percentage ranked 12th among A.L. catchers...started all five games behind the plate in the Division Series against New York and hit .375 with two doubles and three RBI...including an RBI double in the sixth inning of Game 1 that broke a 3-3 tie in the A's 5-3 win...batted .164 in April, his lowest average ever in a month...had the second four-hit game of his career on June 18 at Kansas City...his homer on June 20th against Baltimore was the game winner as his three-run shot in the eighth inning broke a 5-5 tie in the A's 8-5 win...six of his 14 home runs either tied the game or put the A's ahead...connected for his first career pinch hit home run on July 19 against Seattle's Jamie Moyer...finished the season 2 for 14 (.143) with two walks and three RBI in the pinch...drove in 14 runs in September, his most in any month for his career...was 4 for 8 (.500) with the bases loaded...never hit higher than sixth in the order and saw most of his action in the nine spot where he hit .259 (77 for 297) with nine of his home runs...batted .293 with five home runs and 25 RBI in 41 games with Occidente in the Venezuelan Winter League...then hit .364 with three home runs and six RBI in six games for Venezuela in the Caribbean World Series. 2001-became the first catcher in Oakland history to catch more than 125 games in a season twice as he appeared in a league leading 135 games behind the plate (127 starts) after setting an Oakland record with 142 in 2000...set an Oakland record for catchers by participating in 15 double plays, breaking Jim Essian's record of 12 set in 1978...led American League catchers in double plays but also tied with the Yankees Jorge Posada for the league lead with 11 errors...his .989 fielding percentage ranked third lowest in the AL...tossed out 33 of 131 (25.2%) attempted stealers...hit a career high 15 home runs and added 60 RBI to rank third among A.L. catchers in both categories...the RBI fell two short of his career high from 2000 but he improved his batting average 13 points to .254...six of his home runs came on the first pitch...in addition to home runs, he also had career highs in at bats (453), runs (55), hits (115) and doubles (25)...led the A's and ranked tied for fifth in the A.L. with nine sacrifice hits after topping the club with 10 in 2000...hit better in the Coliseum, posting a .284 average compared to .225 with 10 of his 15 home runs on the road...began the season with an 82-at bat homerless streak before hitting his first home run on April 28 at New York...that snapped a 42-game, 144-at bat homerless streak dating back to September 9, 2000...put together a career high nine-game hitting streak from June 21 to July 3 (10 for 34, .294)...hit his first career grand slam during the streak on June 27 at Seattle off John Halama...tied his career high with four RBI in that game...went into the All-Star Break with a .224 batting average, four home runs and 26 RBI in 76 games and then hit .291 with 11 home runs and 34 RBI in 60 games after the break...had his first career two-homer game on July 16 against Colorado...ended up batting .333 in July, the best one month batting average in his career...made his major league debut at first base on August 4 at Detroit...appeared in all five games of the ALDS against New York, making four starts at catcher, and was 0 for 10 with a walk and a hit by pitch...led the Venezuelan Winter League with a .376 batting average and .462 on-base percentage with Occidente...added six home runs and 33 RBI in 44 games. Became the first catcher in Oakland history to catch more than 125 games in a season twice as he appeared in a league leading 135 games behind the plate (127 starts) after setting an Oakland record with 142 in 2000...has now caught 317 games in his career which is sixth most in Oakland history...set an Oakland record for catchers by participating in 15 double plays, breaking Jim Essian's record of 12 set in 1978...led American League catchers in double plays but also tied with the Yankees Jorge Posada for the league lead with 11 errors...led the league with 13 errors in 2000...had just three errors in 76 games at the All-Star Break but then made eight in 59 games after the break...his .989 fielding percentage ranked third lowest in the A.L....tossed out 33 of 131 (25.2%) attempted stealers...opponents were successful in 17 consecutive stolen base attempts from April 20 to May 2 and he tossed out just 3 of 34 (8.8%) base stealers through May 10...then threw out 13 of 26 (50.0%) from May 15 to June 17...hit a career high 15 home runs and added 60 RBI to rank third among A.L. catchers in both categories...the RBI fell two short of his career high from 2000 but he improved his batting average 13 points to .254...six of his home runs came on the first pitch...in addition to home runs, he also had career highs in at bats (453), runs (55), hits (115) and doubles (25)...led the A's and ranked tied for fifth in the A.L. with nine sacrifice hits after topping the club with 10 in 2000...hit better in the Coliseum, posting a .284 (63 for 222) average compared to .225 (52 for 231) with 10 of his 15 home runs on the road...began the season with an 82-at bat homerless streak before hitting his first home run on April 28 at New York...that snapped a 42-game, 144-at bat homerless streak dating back to September 9, 2000...finished April with a .241 batting average but that was his best mark over the first three months of the season...started May 1 for 19 to drop his average to a season low .208 on May 5...hit safely in what was then a career high eight consecutive games from May 6 to 18 (11 for 26, .423) before a 1 for 22 skid...put together a career high nine-game hitting streak from June 21 to July 3 (10 for 34, .294)...hit his first career grand slam during the streak on June 27 at Seattle off John Halama...tied his career high with four RBI in that game...went into the All-Star Break with a .224 (56 for 250) batting average, four home runs and 26 RBI in 76 games and then hit .291 (59 for 203) with 11 home runs and 34 RBI in 60 games after the break...had four multiple hit games in his first five games after the All-Star Break (11 for 19, .579), including his first career two-homer game on July 16 against Colorado...ended up batting .333 in July, the best one month batting average in his career...made his major league debut at first base on August 4 at Detroit...played the final two innings and recorded one putout, catching a fly ball for the final out of the game...also played first on September 4...homered in consecutive games on August 28 and 29 at Baltimore and hit eight of his 15 home runs over his final 33 games...then appeared in all five games of the ALDS against New York, making four starts at catcher, and was 0 for 10 with a walk and a hit by pitch...had two home runs and 13 RBI in 17 games against Seattle and now has seven home runs and 33 RBI in 36 career games against the Mariners, his best total against any club...led the Venezuelan Winter League with a .376 batting average and .462 on-base percentage with Occidente...added six home runs and 33 RBI in 44 games. Set an Oakland record for most games caught in a season as he appeared in 142 games behind the plate, breaking Ray Fosse's record of 141 set in 1973 ... started 118 of those games ... his 142 games caught ranks fourth most in Athletics (1901-2000) history behind Frankie Hayes (155 in 1944), Cy Perkins (146 in 1920) and Hayes (143 in 1946) ... struggled defensively as he tossed out just 19 of 87 (21.8%) attempted base stealers, the fourth lowest percentage among American League catchers ... committed 13 errors, the most by an A's catcher since Terry Steinbach also had 13 in 1991, and the most by an American League catcher in 2000 ... his .984 fielding percentage ranked 12th among A.L. catchers ... got off to a slow start as he went 2 for 30 (.067) over his first 11 games ... then hit .302 (45 for 149) over his next 48 games to boost his average to a season high .263 on June 20 ... followed that up by hitting .173 (22 for 127) over his next 47 games, dropping his average 38 points to .225 ... ended the season by hitting .283 (32 for 113) over his final 37 games to finish the year at .241 ... batted .164 in April, his lowest average ever in a month ... started May with a three-hit game on Kansas City on the 1st and was 13 for his first 36 ( .361) in the month ... finished May with a .321 average, his best mark ever in a month ... had the second four-hit game of his career on June 18 at Kansas City ... that was part of a stretch where he homered three times in four games from June 16-20 (7-for-15, seven RBI) ... his home run on the 20th against Baltimore was the game winner as his three-run shot in the eighth inning broke a 5-5 tie in the A's 8-5 win ... six of his 14 home runs either tied the game or put the A's ahead ... had a pinch hit single off Rick Helling on July 3 at Texas to snap a season opening 0 for 9 streak as a pinch hitter ... then connected for the A's first pinch hit home run of the season on July 19 against Seattle's Jamie Moyer ... it was his first career pinch hit home run and the first by an A's player since June 24, 1998 (Matt Stairs at San Francisco) ... finished the season 2-for-14 ( .143) with two walks and three RBI in the pinch ... drove in 14 runs in September, his most in any month for his career ... was 4-for-8 ( .500) with the bases loaded ... never hit higher than sixth in the order and saw most of his action in the nine spot where he hit .259 (77 for 297) with nine of his home runs ... five of his 17 career home runs have come against Seattle. Made his major league debut with the A's in 1999 ... Selected from Vancouver towards the end of June when Mike Macfarlane went on the disabled list and hit .279 in 40 games ... Was batting .263 with 12 HR and 53 RBI in 70 games at Vancouver when the A's called on June 27 ... Made his major league debut on June 29 against Seattle and recorded his first hit in his first at bat, a bunt single off John Halama in the third inning ... Also singled in the seventh and then had three hits and a career high four RBI the next day ... Including his first major league home run, a two-run shot off the Mariners Damaso Marte ... Began his career with three straight multiple hit games (7 for 13) and was hitting .299 with 3 HR and 14 RBI over his first 19 games ... Had started 19 of the A's 23 games at catcher following his promotion before suffering a sprained left knee in a collision at home plate with Kansas City's Steve Scarsone on July 25 ... Went on the disabled list the next day and hit .238 (5 for 21) in a seven-game rehab assignment at Vancouver before returning to Oakland on August 27 ... His average was as high as .306 on September 10 but then went 8 for 38 (.211) over his last 12 games to finish the year at .279 ... Four of those hits came on September 28 at Anaheim ... Fared better against left handed pitching as he hit .357 (15 for 42) against south paws with all three of his home runs compared to .245 (23 for 94) against right handers ... Also enjoyed hitting at home as he batted .329 (23 for 70) in Oakland compared to .227 (15 for 66) on the road ... Hit .389 (14 for 36) with runners in scoring position and .375 (18 for 48) with two of his three home runs in the seventh inning or later ... Tossed out 9 of 41 (22.0%) attempted base stealers ... Finished with a .261 batting average in 77 games at Vancouver to go with 13 HR and 55 RBI ... Appeared in 44 games at catcher, 21 at designated hitter, 11 at third base and four at first base ... Tossed out 16 of 42 (38.1%) attempted base stealers ... Got off to a slow start as he was hitting just .158 after 12 games ... Then went 36 for 126 (.286) over his next 33 games ... Drove in 25 runs in 25 games in May ... Then hit .349 (15 for 43) with four home runs over his final 10 games before he was brought up to Oakland ... Hit .261 with 5 HR and 28 RBI in 52 games with Occidente in the Venezuelan Winter League. At Class AA Huntsville led the team and ranked fifth in the Southern League with 98rbi...also led theStars in hits (142) and times hit by a pitch (19)...following the season played for Occidente in the VenezuelanWinter League (55g, .314, 6hr, 27rbi). At Class Visalia led the California League in hitting (.361) andon-base percentage (.427) and ranked third in slugging percentage (.572)...was a Cal League All-Star...wasthe league's Player of the Week for 4/14-4/20 and Player of the Month for June...at the All-Star break ledall minor league batters in hitting (.376) and RBI (73, tied)...on 7/14 was promoted to Class AA Huntsville,where he hit .193 during the regular season but .351 (7hr, 16rbi) in 10 playoff games...at Visalis and Huntsvillecombined to hit .306 with 19 homers and 109rbi. At Class A West Michigan was a Midwest LeagueAll-Star...led the Whitecaps with 12 homers and 26 doubles...helped lead West Michigan to the league title(9g, 2hr, 5rbi). In his first season in the U.S. was named the Arizona League's Most Valuable Player...led the league in batting (.364), RBI (37, tied), walks (39), on-base percentage (.510) and slugging percentage(.594)...led league catchers with a .982 fielding percentage while throwing out 24-53 (45.3%) attempted basestealers. Helped lead Oak's Dominican Summer League team to the Central Division title. October 7, 2014 C Ramon Hernandez assigned to Navegantes del Magallanes. 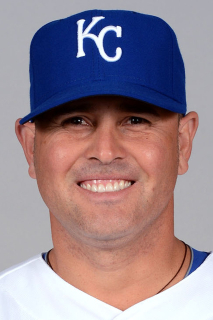 March 30, 2014 Kansas City Royals released C Ramon Hernandez. January 31, 2014 C Ramon Hernandez assigned to Venezuela. January 7, 2014 Kansas City Royals signed free agent C Ramon Hernandez to a minor league contract and invited him to spring training. July 9, 2013 Buffalo Bisons released C Ramon Hernandez. June 30, 2013 C Ramon Hernandez assigned to Buffalo Bisons. June 29, 2013 Toronto Blue Jays signed free agent C Ramon Hernandez to a minor league contract. June 22, 2013 Los Angeles Dodgers released C Ramon Hernandez. June 14, 2013 Los Angeles Dodgers designated C Ramon Hernandez for assignment. April 6, 2013 Los Angeles Dodgers traded Aaron Harang to Colorado Rockies for C Ramon Hernandez. March 29, 2013 Colorado Rockies designated Ramon Hernandez for assignment. December 3, 2012 C Ramon Hernandez assigned to Navegantes del Magallanes. July 13, 2012 Colorado Rockies activated C Ramon Hernandez from the 15-day disabled list. July 4, 2012 sent C Ramon Hernandez on a rehab assignment to Colorado Springs Sky Sox. May 25, 2012 Colorado Rockies placed C Ramon Hernandez on the 15-day disabled list retroactive to May 24, 2012. Left hand strain. November 30, 2011 Colorado Rockies signed free agent C Ramon Hernandez. October 30, 2011 C Ramon Hernandez elected free agency. October 10, 2011 C Ramon Hernandez assigned to Navegantes del Magallanes. November 15, 2010 Cincinnati Reds signed free agent C Ramon Hernandez. November 7, 2010 C Ramon Hernandez elected free agency. July 22, 2010 Cincinnati Reds activated C Ramon Hernandez from the 15-day disabled list. October 8, 2009 C Ramon Hernandez assigned to Bravos de Margarita. September 19, 2009 Cincinnati Reds activated C Ramon Hernandez from the 15-day disabled list. July 20, 2009 Cincinnati Reds placed C Ramon Hernandez on the 15-day disabled list retroactive to July 18, 2009. Sore left knee.